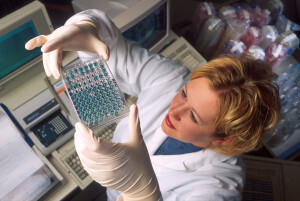 Biotech job descriptions, biotechnology, careers in pharmaceutical manufacturing. There is little difference between a Biotech Job and a Pharmaceutical job. One deals with a physical living mechanism for production, i.e. a fermentation bioreactor, and the other has a physical mechanism of production, i.e. raw chemicals combined and repackaged. When it comes to your job search, they should be interchangeable terms. The difference is small and the lab skills learned in one job generally transfer to another. When you have little experience and are just starting out, jobs in manufacturing are obtainable and will help you develop key skills to move throughout the industry.